While not visible to the naked eye, there's actually a lot of green here - as in energy efficiency and improved indoor air quality. 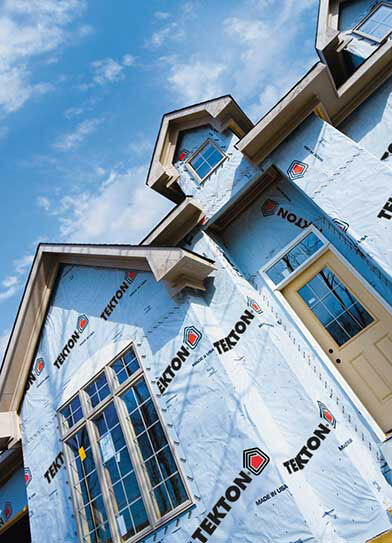 At the heart of the system is TEKTON® HouseWrap, which reduces the risk of air and moisture infiltration that could ultimately waste energy or lead to mold. When you add those benefits to the system's ENERGY STAR®* and LEED®** qualifications, there's no denying that TEKTON products are in fact green. * ENERGY STAR® is a program of the United States Environmental Protection Agency and the United States Department of Energy. ** LEED® is a program of the United States Green Building Council.